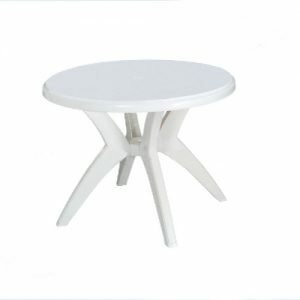 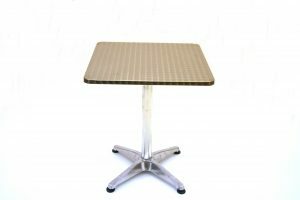 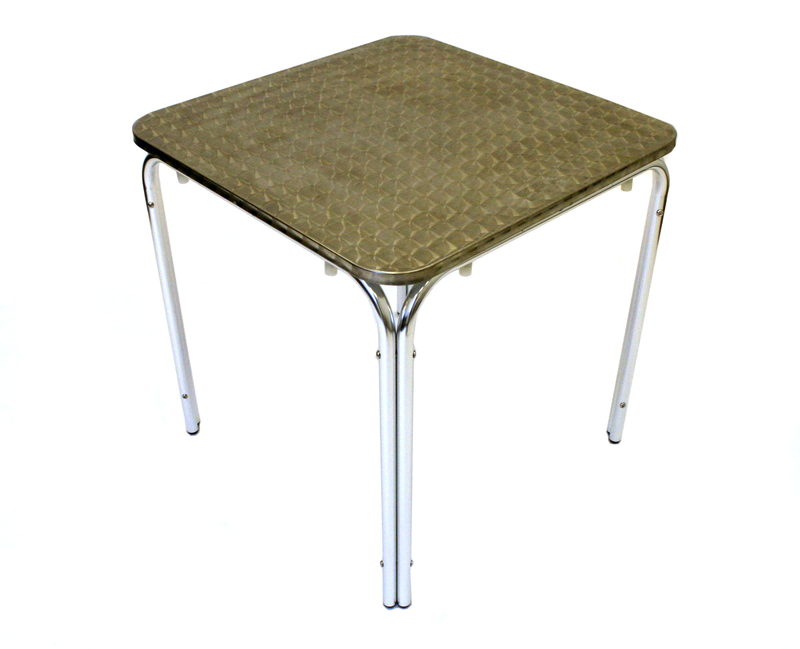 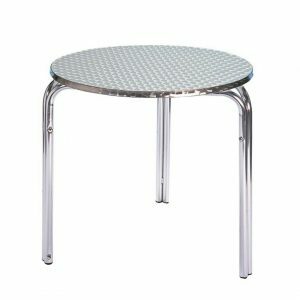 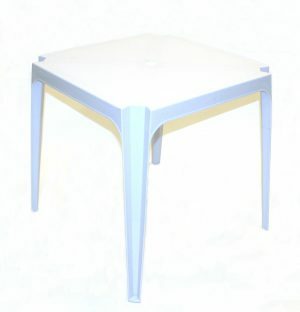 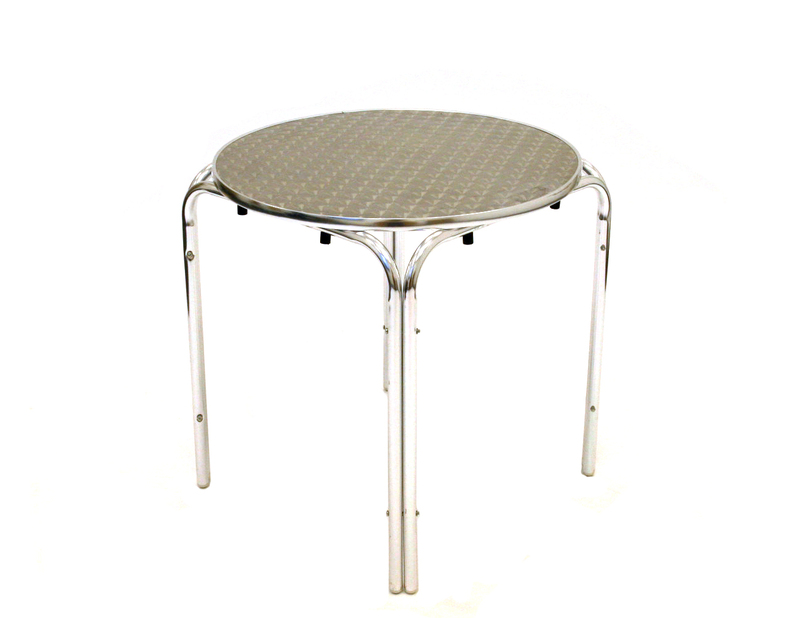 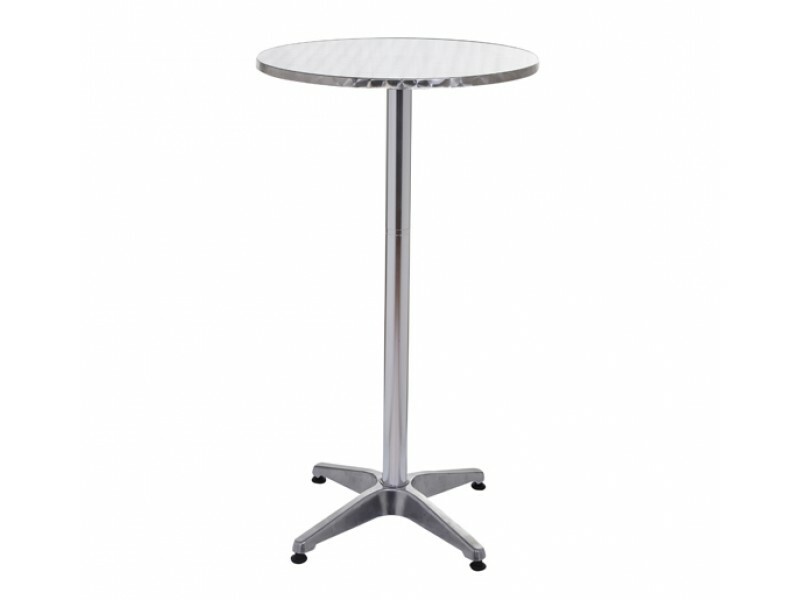 BE Furniture Sales takes pride in our extensive range of aluminium bistro tables, for rustproof, smart looking bistro tables to enhance your café, restaurant, event space or garden, consider an aluminium table. 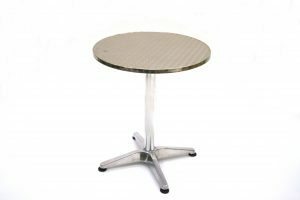 Compared to other metals used in cafe tables, aluminium is very lightweight and is easy to look after, ideal for most outdoor use. We have 2 versions – the rolled edged tables are fully weather proof , the budget rimmed edged tables are shower proof but cannot withstand long periods of rain and stackable for easy storage. 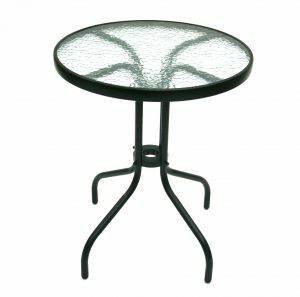 We also offer a range of bistro chairs to compliment your chosen tables and a range of bistro sets, we also offer bulk buy options to make your purchasing easier.